At TRA, we value you and your opinions. Each year, we offer our users the opportunity to share your thoughts and feedback to help us improve our software and services. Please let us know what you think of IndustrySafe, the IndustrySafe team, and how we can better meet the needs of your organization. Start our 2016 Customer Survey today. Visit Us at the OSHA Oil & Gas Show Expo! Members of the IndustrySafe team will be attending the 2016 OSHA Oil & Gas Show Expo in Houston, Texas from November 29-30. Visit us at booth #103 to take in a product demonstration of our 5.9 release, ask questions, and as always, feel free to contact us if you'd like to set up a private demo of the software. The presidential election is quickly approaching. On Tuesday, November 8, 2016, registered voters will elect the 58th President of the United States. 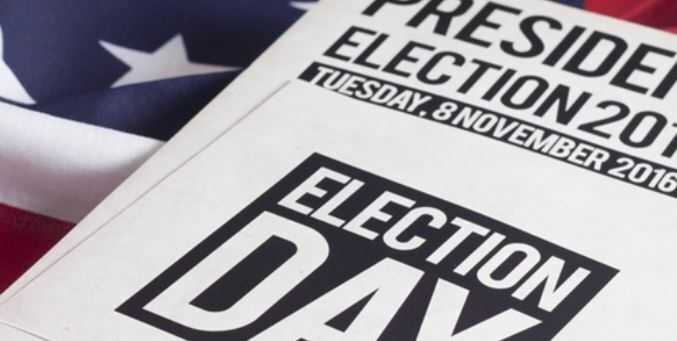 Regardless of political leanings or personal preferences, a recent Gallup Election Benchmark survey found that there are a few issues Democrats and Republicans nearly unanimously agreed as being highly important. While national security and the economy are the top concerns, the third issue on the list is the area of jobs and employment, under which the topic of worker safety falls. As jobs are an important factor for many voters, what are each candidate's thoughts on workplace safety? In May of 2013, Mike Dowhy joined our team as a Sales and Implementation Analyst. Since then, Mike has sold and implemented IndustrySafe software for many valued TRA clients. I was born and raised in Cherry Hill, New Jersey and have lived there most of my life. I love that my job allows me to travel and work with people across the United States, and the world. Working with safety managers has truly been an interesting and exciting learning experience. Click here to read the rest of our interview with Mike.